I’m back again for another breakfast post. I think I’m gonna do a series of breakfast sandwiches. Pics will be added as I make the creations. 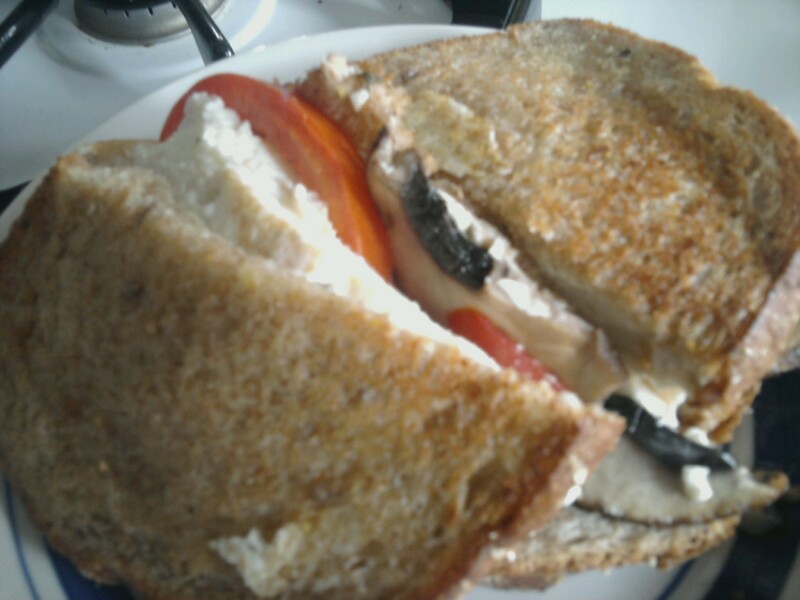 Here is my Portobello, Tomato, and Egg White Sandwich!! 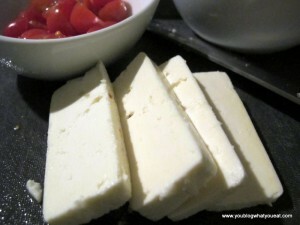 Heat olive oil, butter, or non stick cooking spray in 2 small skillets over medium high heat. Start your bread in the toaster. In one pan, cook your egg white. I folded mine to fit the bread slice. 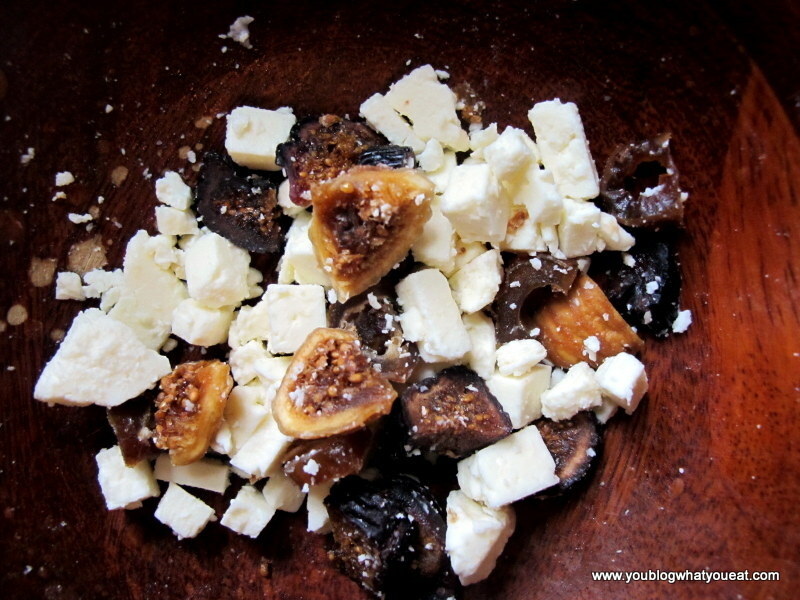 Place the sliced mushrooms in a pan and brown them on each side, 1 minute per side. If you want warm tomato, you can do the same with your slices. Once the egg, mushroom, and toast are done, make your sandwich. Mine was built as follows: Bread, feta, egg, tomato, mushroom. Salt, pepper as needed. 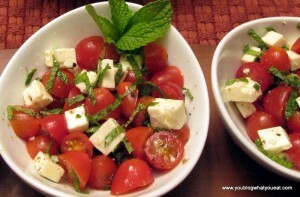 A delicious side dish, salad, or appetizer, cherry tomatoes, feta cheese, and mint or basil pair amazingly well together. I suppose this is one more “Greek Week” dish, due to the feta cheese involved. 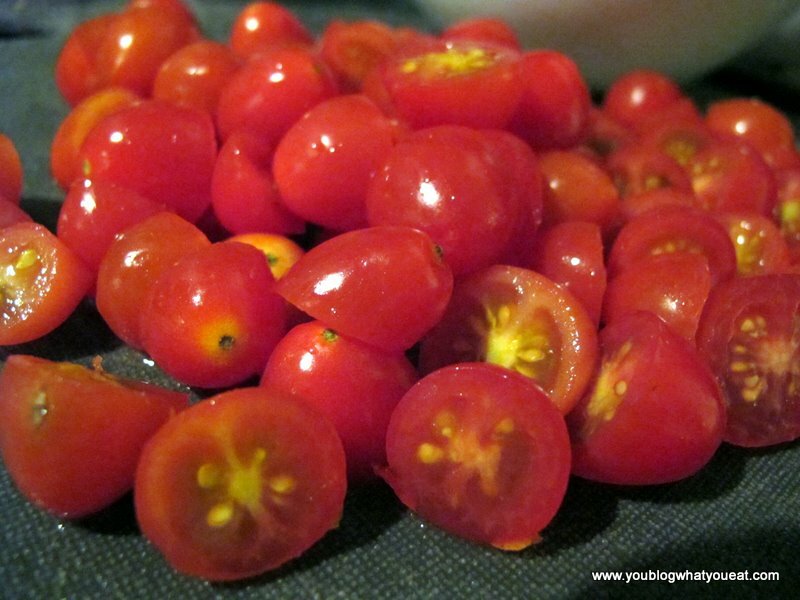 Combine all ingredients and serve as a salad. 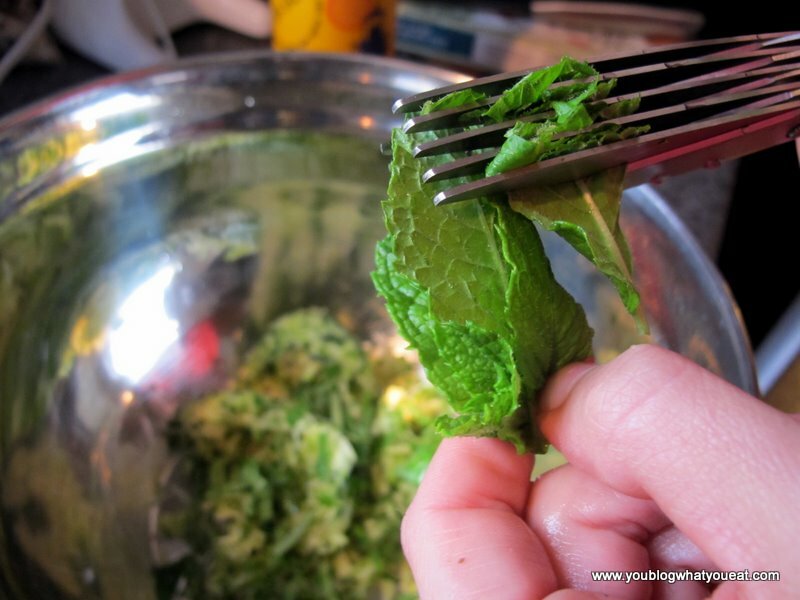 Or, turn this into a cute appetizer by using toothpicks to spear a half a tomato, a small cube of feta, and a leaf of mint or basil. 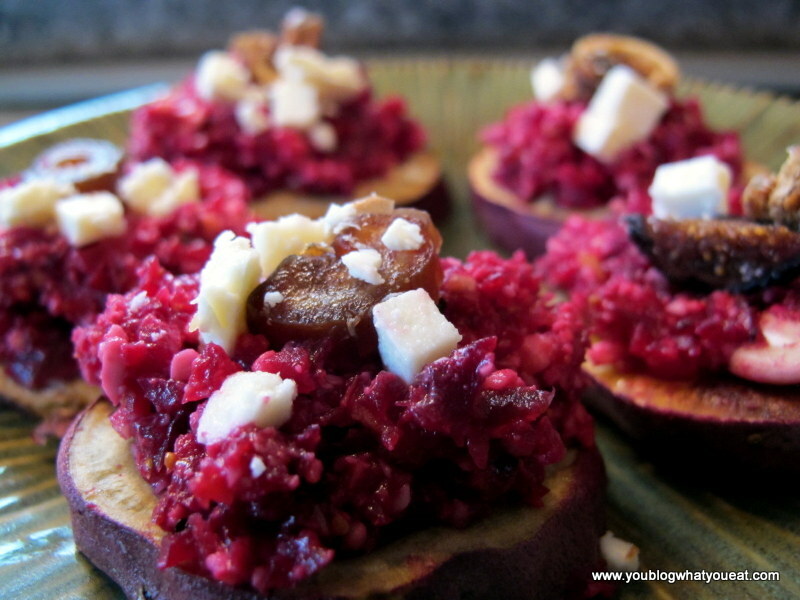 Arrange on a tray for a beautiful and delicious finger food! I was craving Keftedes (Greek meatballs, which have fresh mint in them) for some reason. 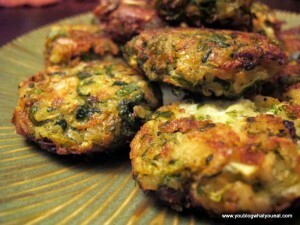 As I was seeking out a recipe I came across a recipe for zucchini ‘keftedes’, or zucchini fritters. This delicious vegetarian option contains feta (a brined cured Greek sheep’s/goat’s milk cheese), fresh mint, and fresh dill or fennel. 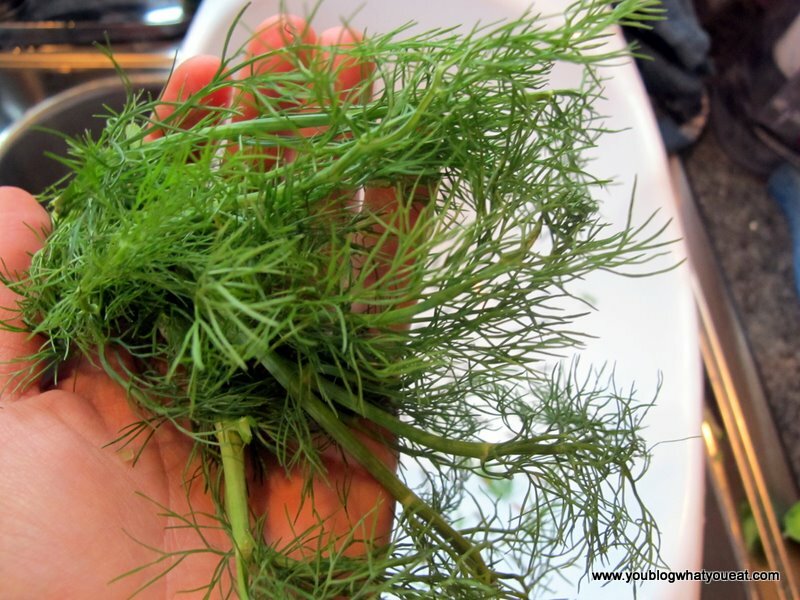 Dill and fennel are in the same herb family, so feel free to substitute and interchange the two. 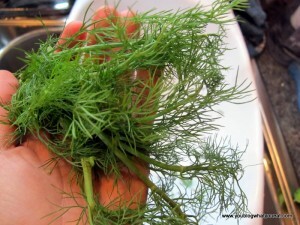 The recipe called for dill. I had fennel, so I used the tops off those. I was VERY pleased. Grate the zucchini, using the larger holes on the grater. 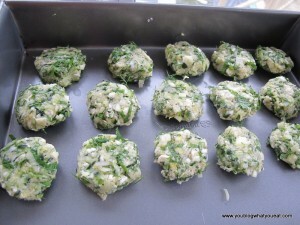 You will need to get the moisture out before making the fritters, as zucchini carries a lot of water. 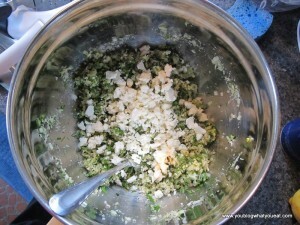 You might know this if you’ve ever tried to make zucchini bread and it’s turned out sloppy and too moist. The recipe called for grating it onto a clean kitchen towel, which I did. It then said to sprinkle the coarse salt over the zucchini and let it sit for 30 min-1 hr. I didn’t wait, and this still worked. 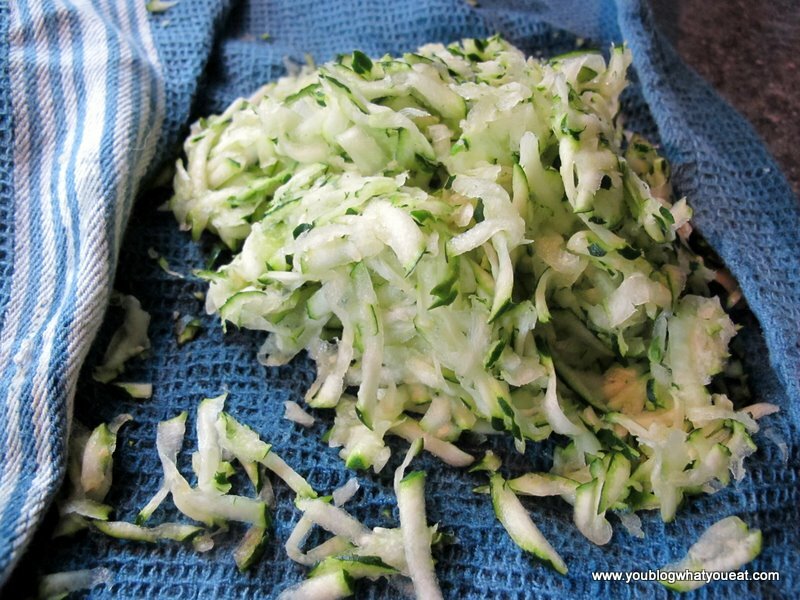 Wring the kitchen towel out as much and as firmly as you can, many times, to squeeze as much moisture as you can out of the zucchini. 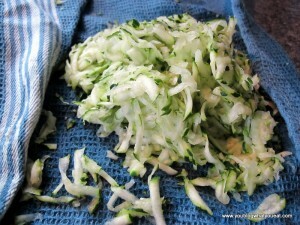 Put the zucchini in a medium bowl and add minced leek, garlic, mint, fennel or dill, lemon peel, and black pepper. *To chop your fresh herbs, consider getting one of these nifty tools — herb scissors! A very welcome gift from my mom (www.beachdazed.com). They have four blades and reduce waste on fresh herbs by allowing you to chop them quickly and easily right into your mixing bowl. I loved having these for all the mint/fennel recipes I made this day. 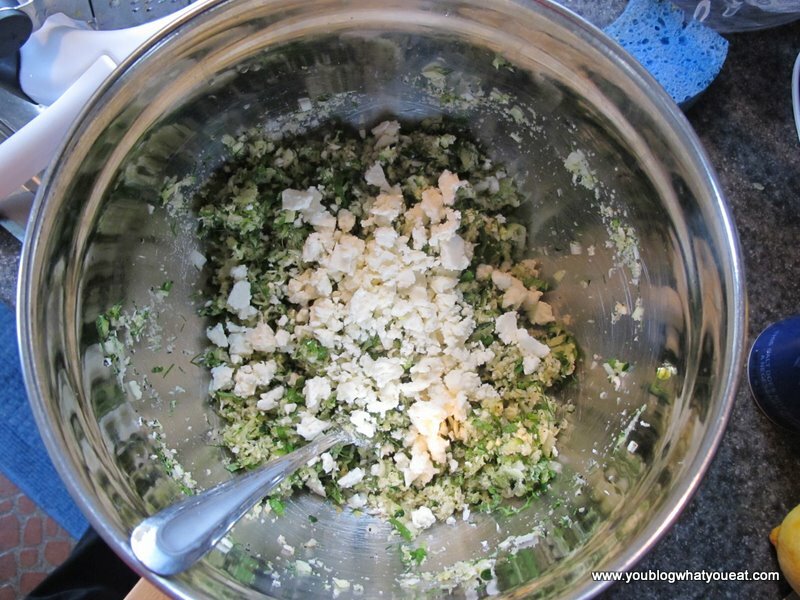 Stir in panko and egg, then the feta. 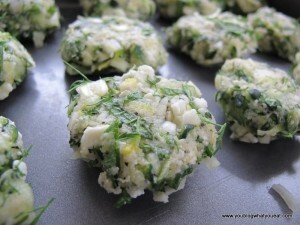 Mix, and then form into 2″ patties, and place on a baking sheet that you can place in the refrigerator to chill. Chill fritters at least one hour . I chilled them for 3. Add 1/4 ” of grapeseed oil (has a high smoke point, so it’s good for frying, plus it’s healthier than many other oils) to a nonstick frying pan, and heat. 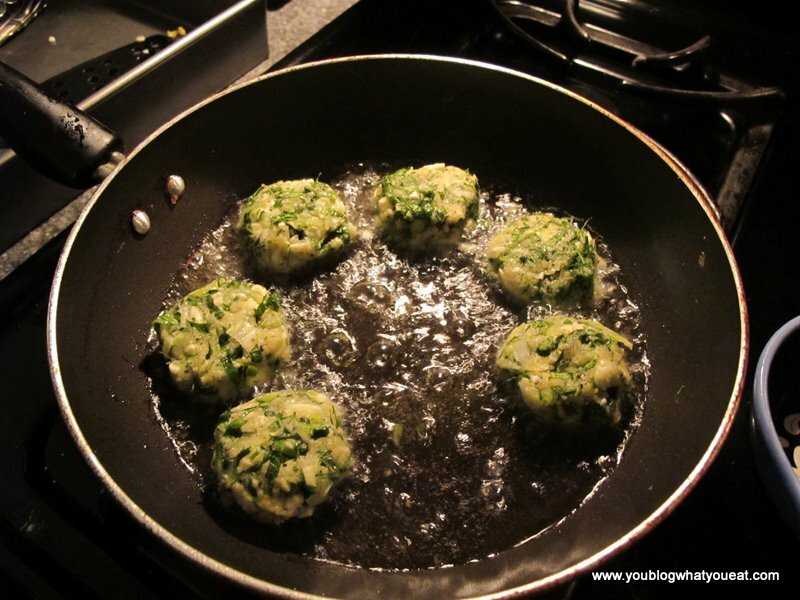 Add the zucchini fritters and fry for several minutes on each side until light golden brown. 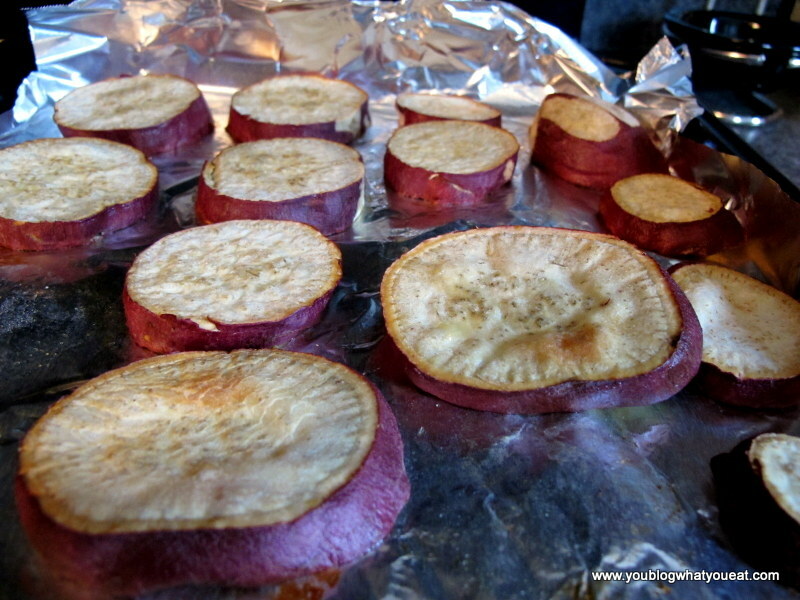 Check to make sure they aren’t sticking shortly after adding these to the pan. 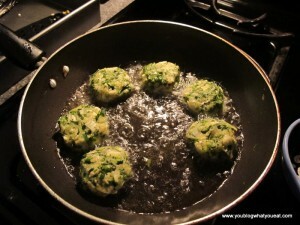 Place fritters on a plate lined with paper towels to absorb some of the oil. 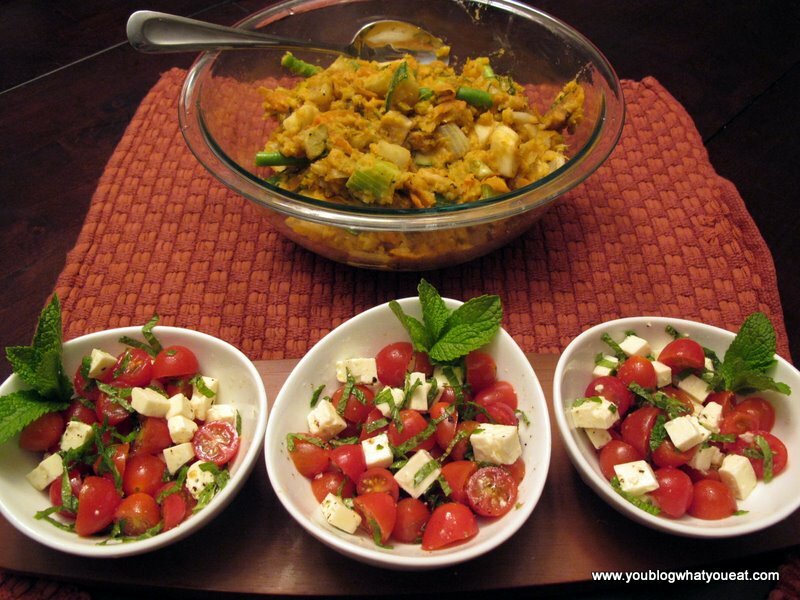 Serve with tzatziki, greek yogurt, and fennel or dill garnish. 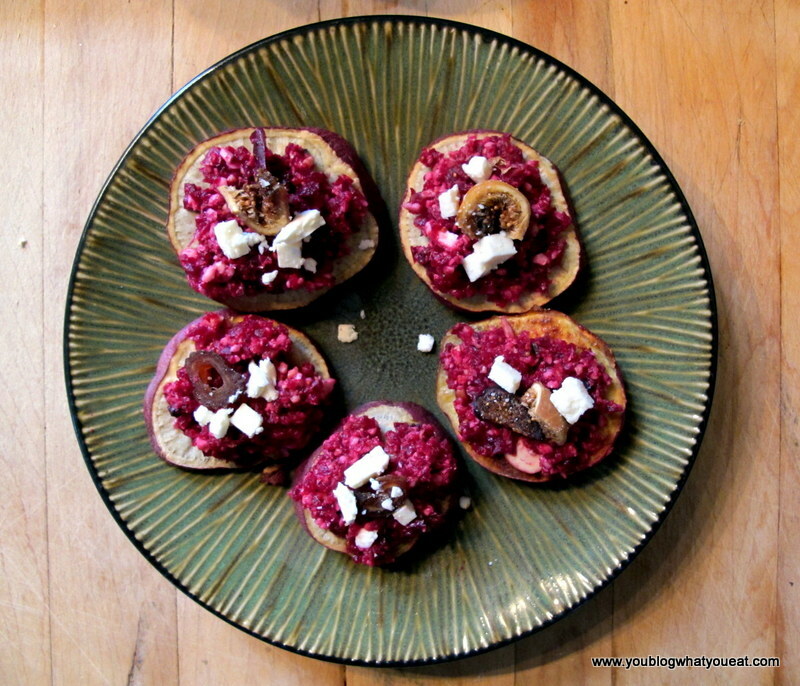 These turned out so DELICIOUS I think I will make these again, but in a much bigger batch. I got 14 fritters out of this batch.